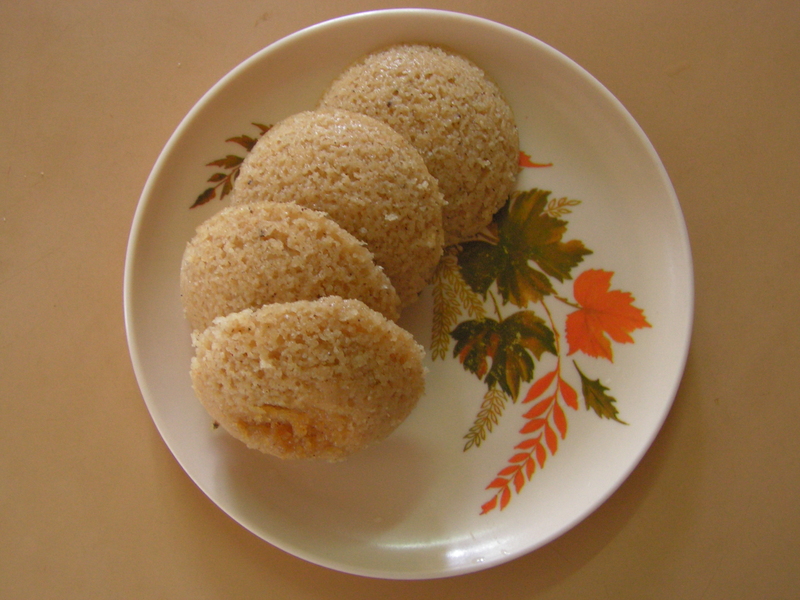 Rice balls or the normal Undi/Oondi is one of my first batch of 8 recipes published 7 years ago. 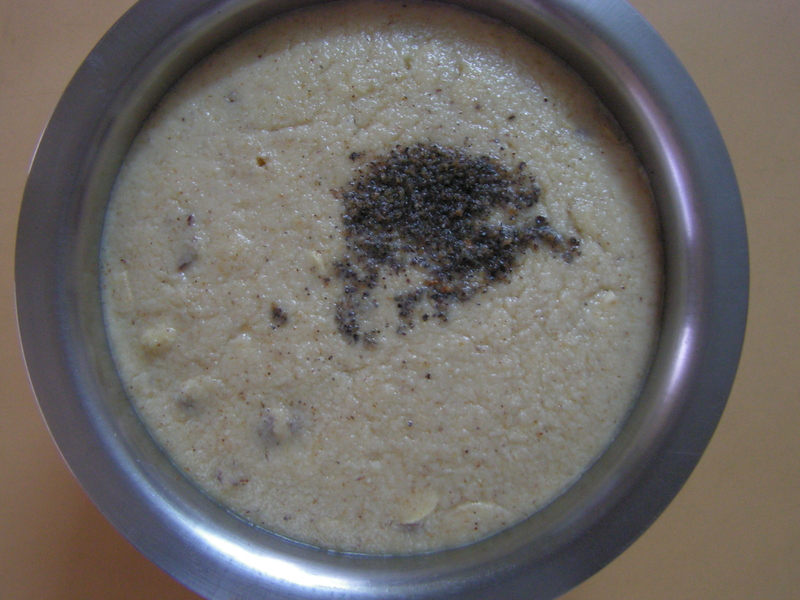 This is a complete variation to the usual Undi recipe since the main ingredient in this recipe is the wonderful Kodo millet/Varai. 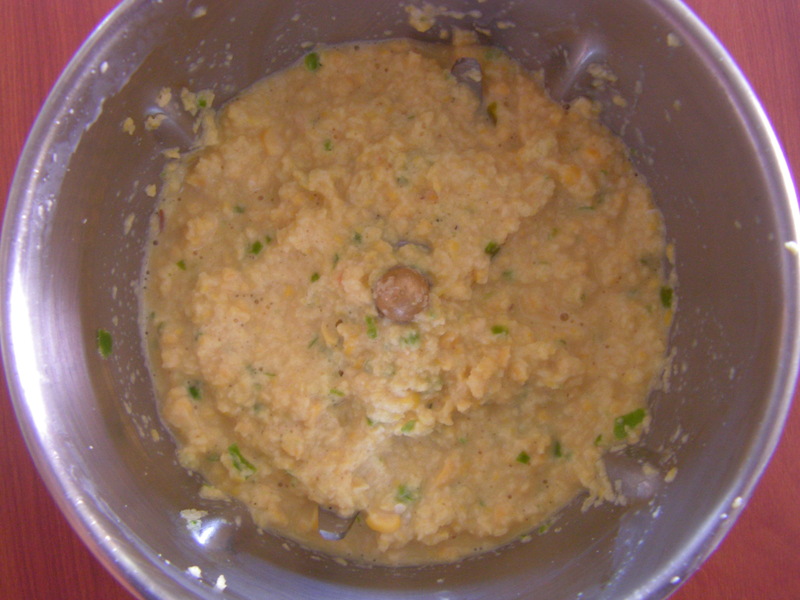 I have put up a couple of recipes of this millet and unlike rice it is easily digestible and can be even served to the patients. 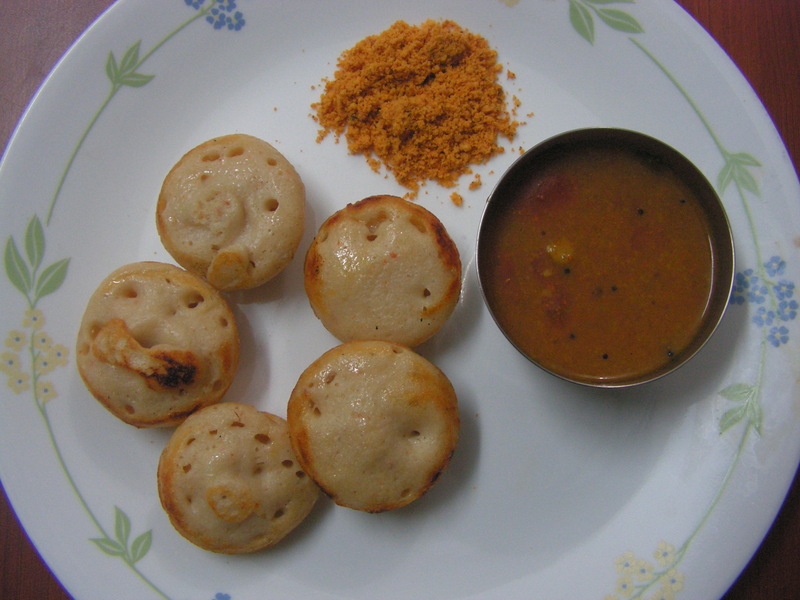 It can be relished plain, with chutney or even with sambar!!!! 2. 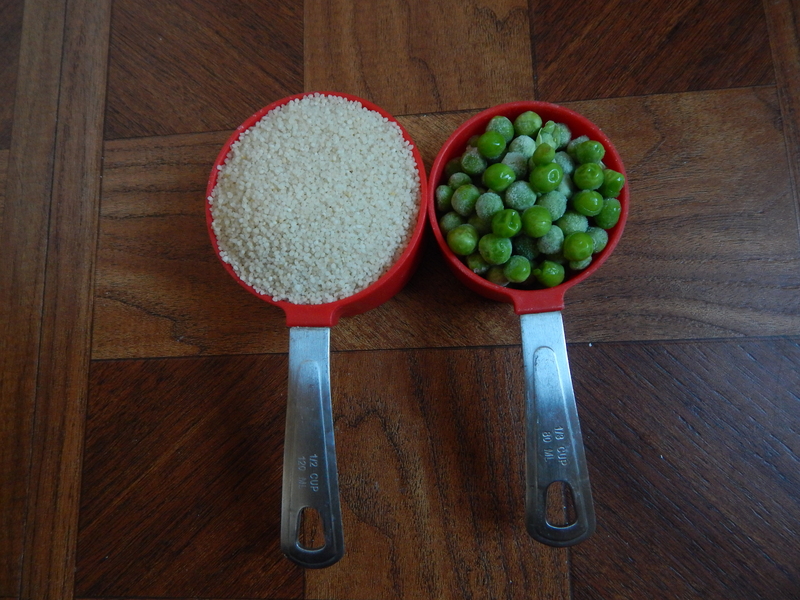 Use fresh/frozen peas for a extra taste. 3. 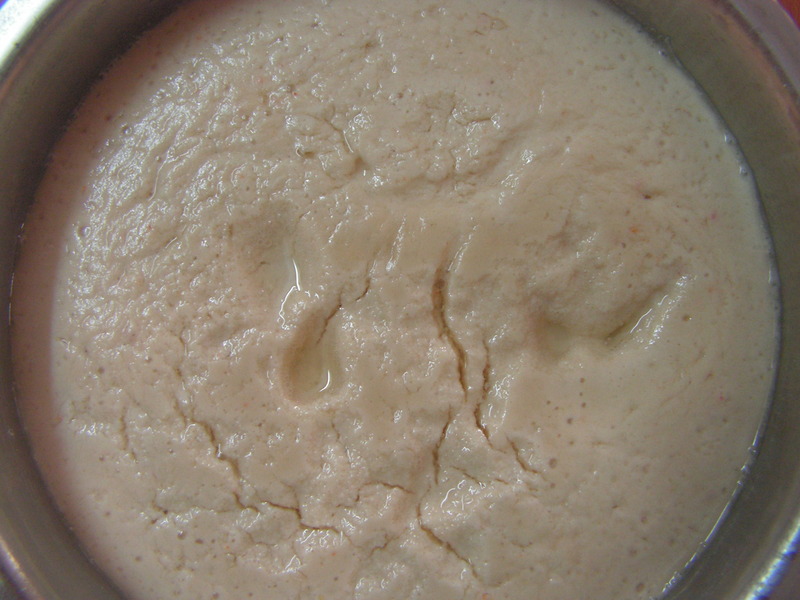 Do not make the steamed dough watery since the dish turns out soggy. 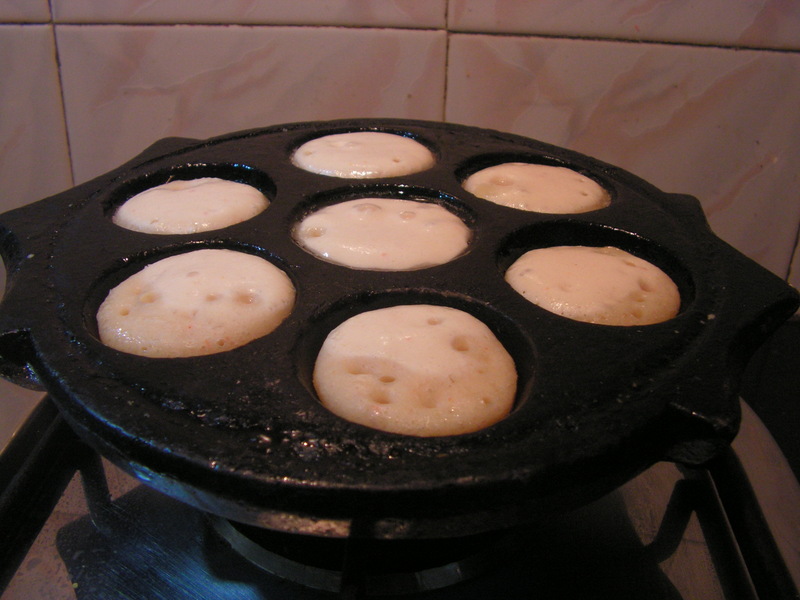 This entry was posted in Uncategorized and tagged Breakfst recipes, Lunch box, Varai recipes. 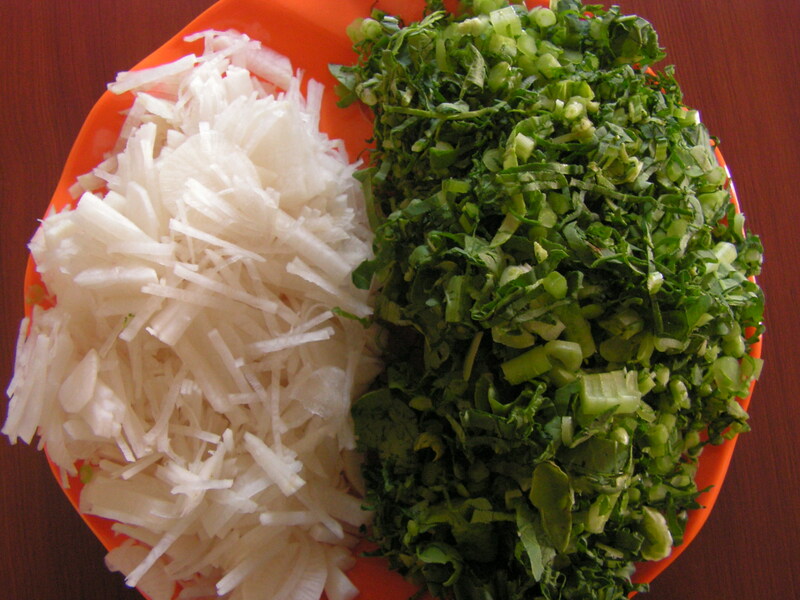 White Radish, Mulangi in english and kannada is so popular because of its health benefits. 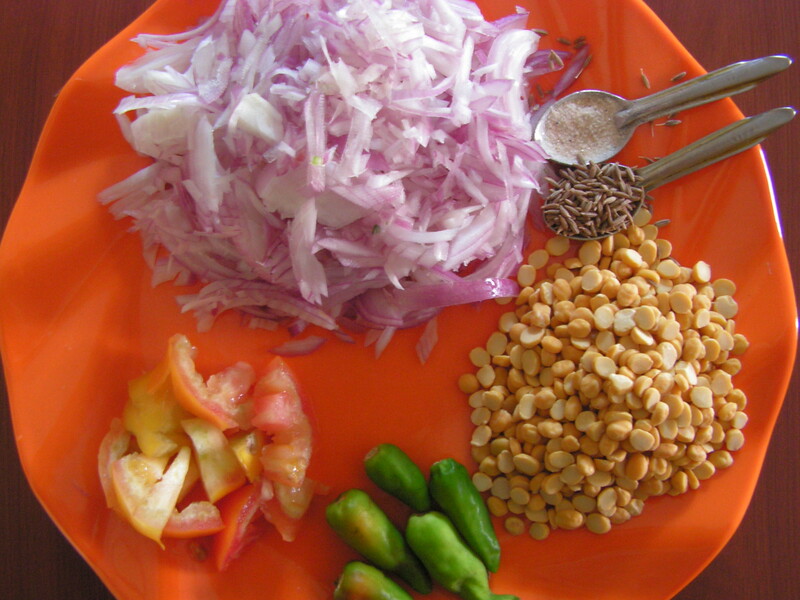 people have started consuming this veggie in cooked as well as in the salad form. 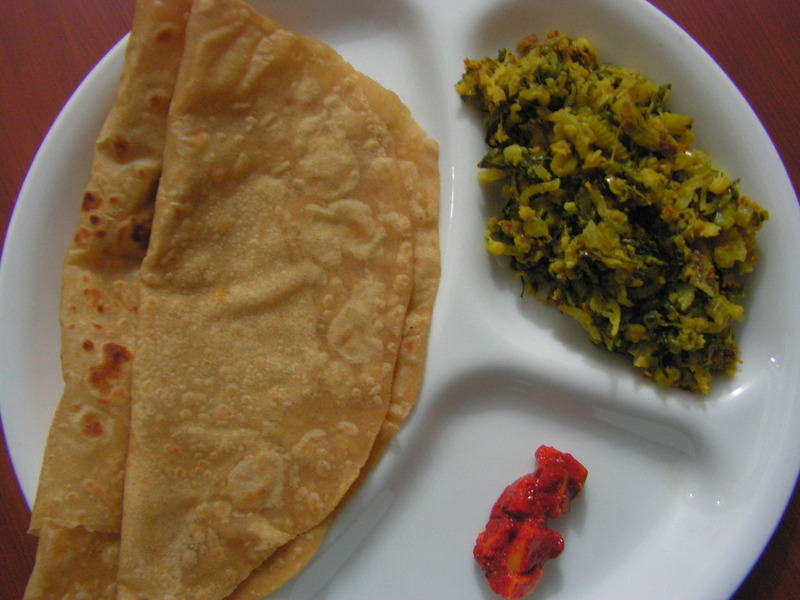 I have already put up Mulangi salad, Mulangi paratha and today i would like to put up this dry curry to suit as a good combo for roti and chapati for sure. 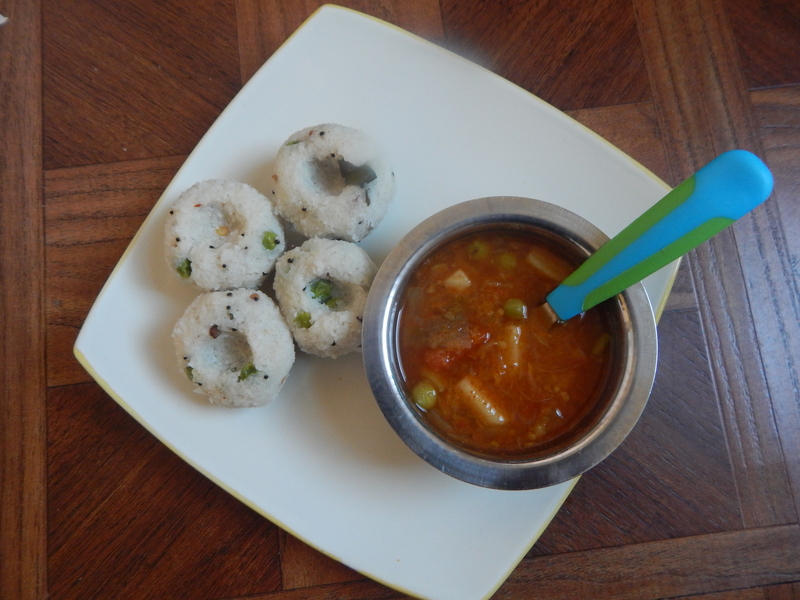 In places like Bangalore and Tamilnadu in most of the restaurants Mulangi is a must veggie in sambar since it is available in plenty through out the year. 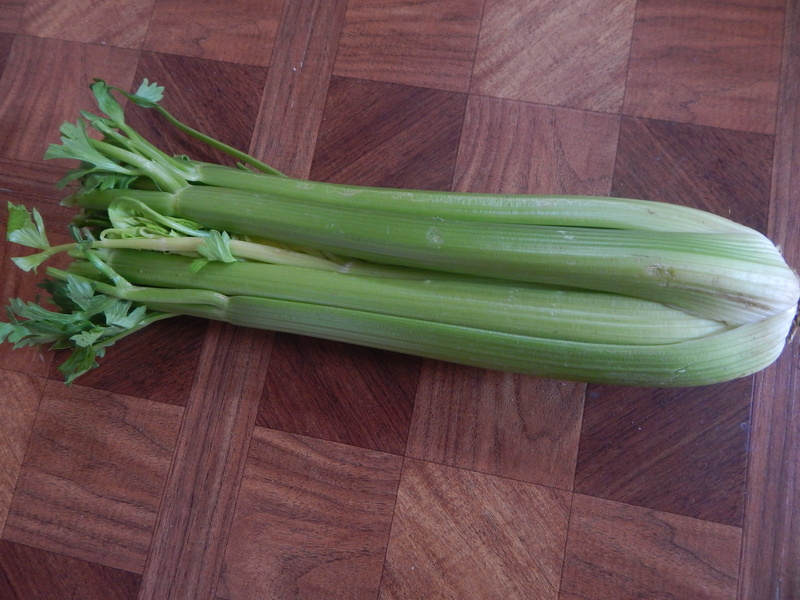 It is always advisable to use very tender and fresh Mulangi for this dish as it has to cook faster. Here is my version of the recipe. 1. Wash , peal Mulangi and chop it fine. 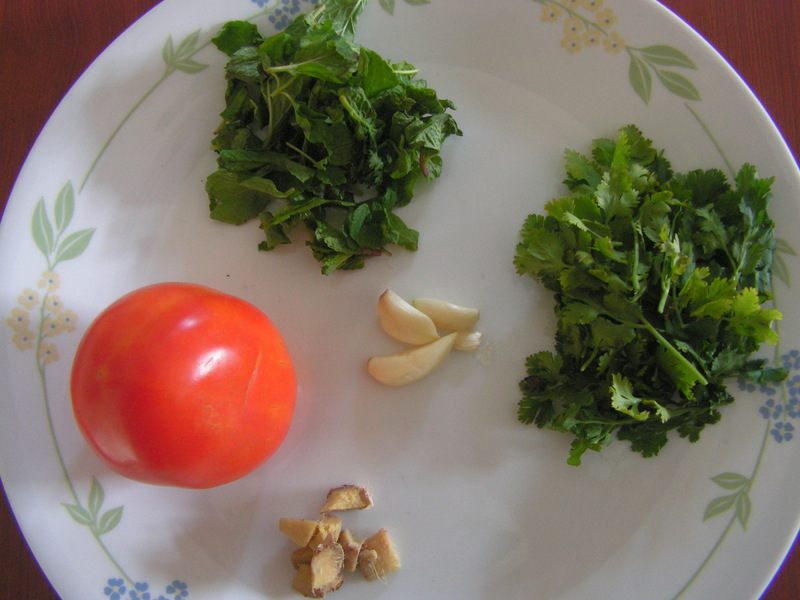 Also wash and chop its greens and tomato fine and keep it aside. Wash, peal and chop onions too. 2. 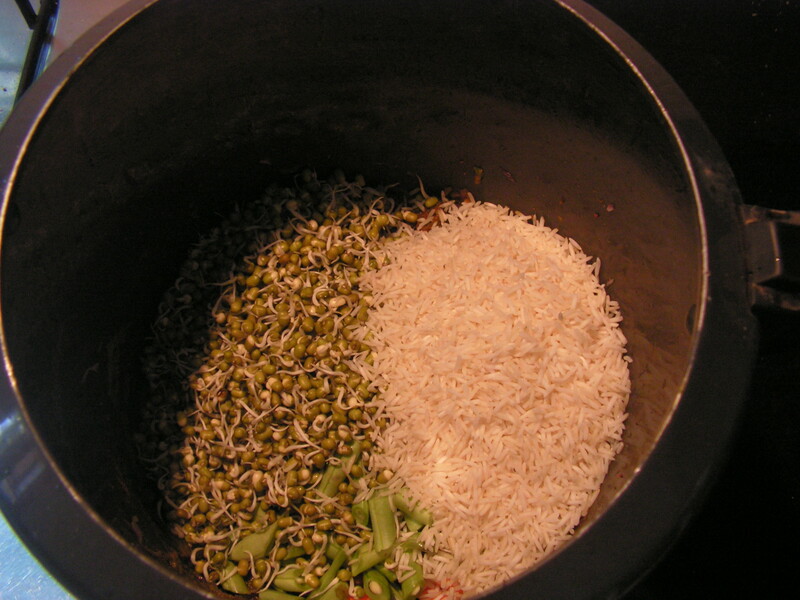 Soak Bengal gram dal/chanadal in water for about an hour till it is ready to grind. 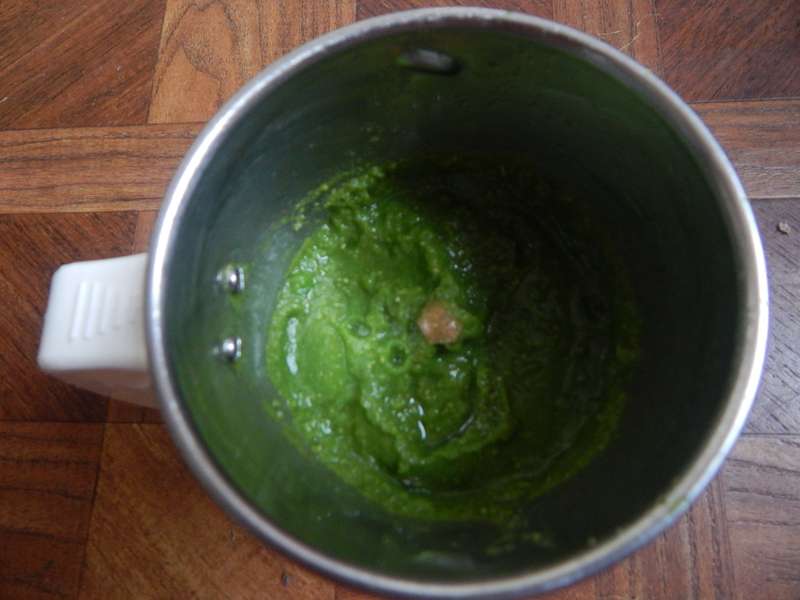 Grind it with half the quantity of cumin, asafoetida powder and 2 green chili without adding water to a coarse consistency. 3. 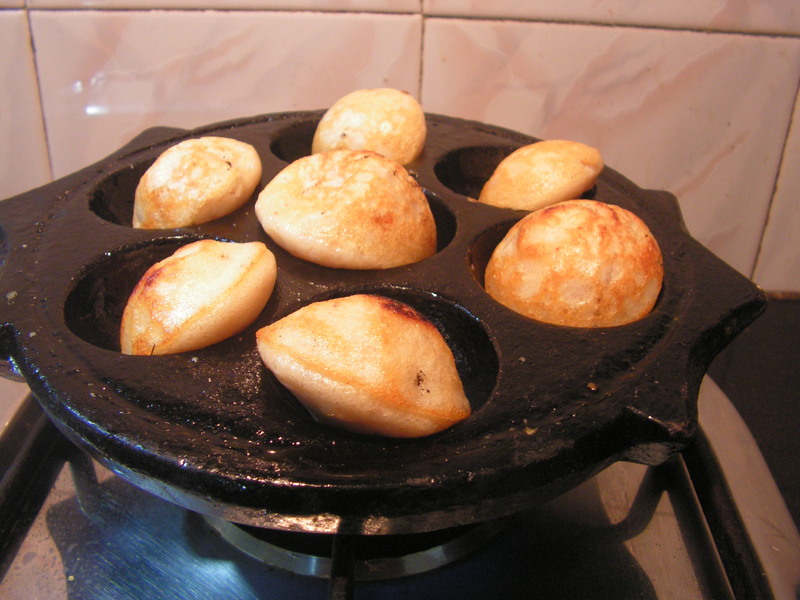 Place a wide skillet with 1 or 2 teaspoons of cooking oil in it on low flame. 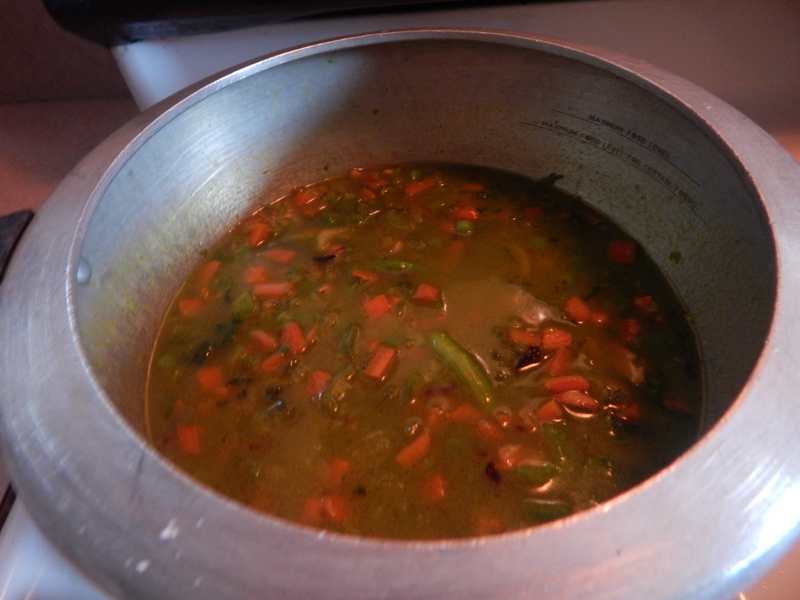 When heated add the rest of the cumin seeds and asafoetida powder and fry till done. Add slit green chili and fry for a while. 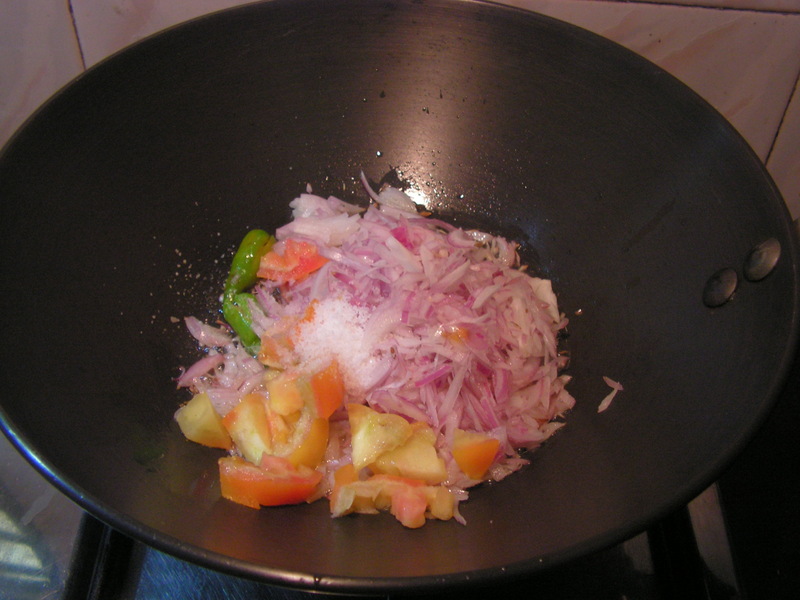 Ad chopped tomatoes and onions and required quantity of salt to it and fry till done. 4. 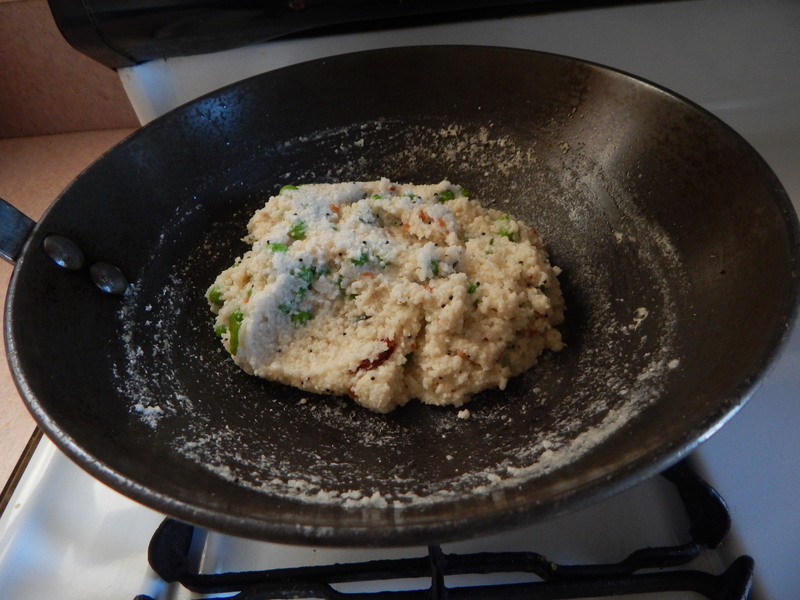 When done, add grind bengal gram dal mix from step-2 to it and stir for a while. 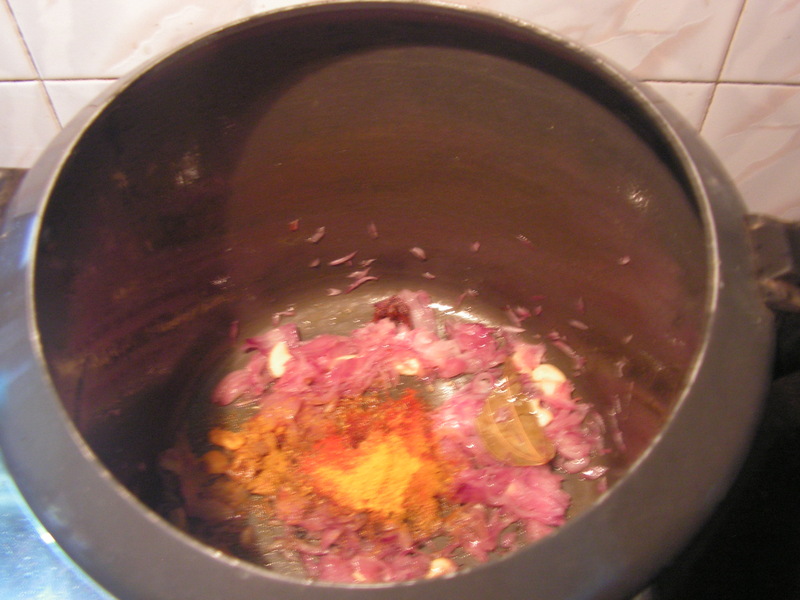 Add turmeric powder as well to it and stir together till a pleasant aroma is oozed and make sure it is not burnt. 5. 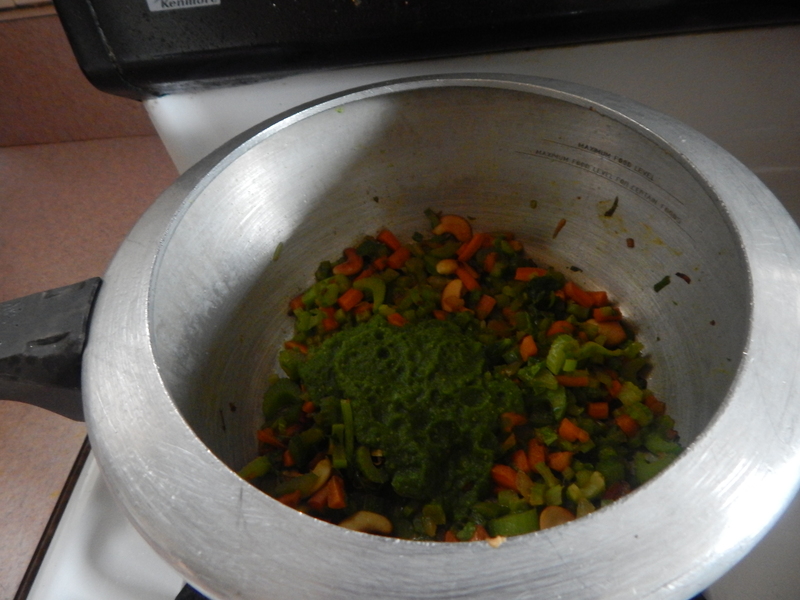 Add chopped veggie and the greens together from step-1 to it. Close with a lid and cook till done. 6. 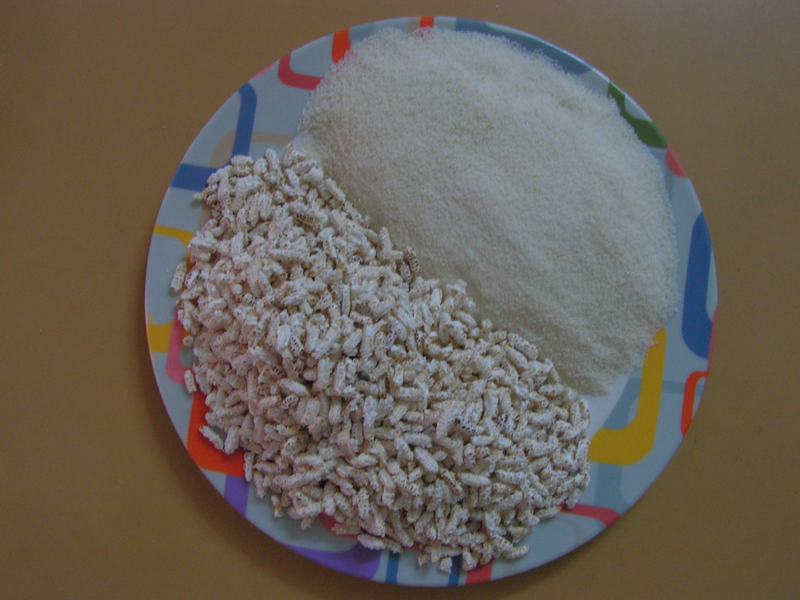 Check for salt when done enjoy with chapati or roti. 7. Enjoy with chapati. Yummmmmmmmmmmmmm!!!! Note: 1. 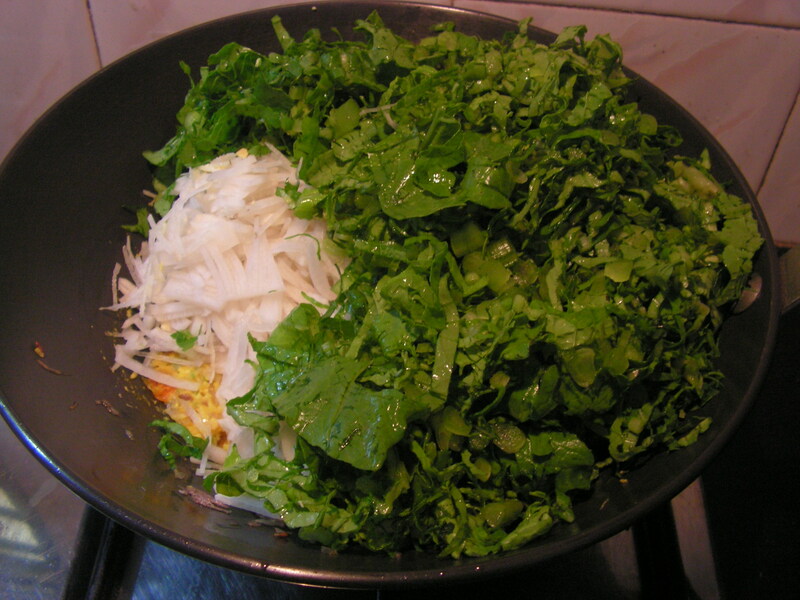 Use fresh, tender Mulangi for the dish. 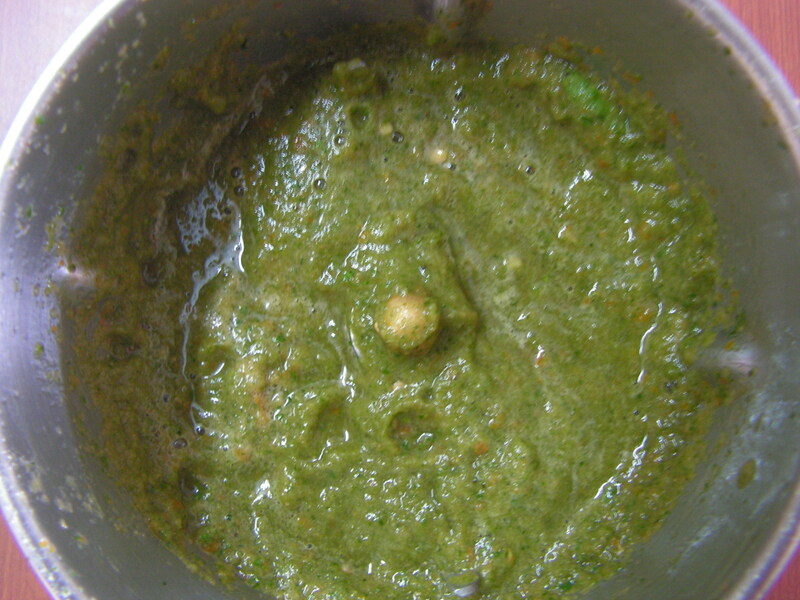 2.I have not used garlic etc so that one can relish the flavor of the veggie. 3. This dish since dry can be a lunch box too. 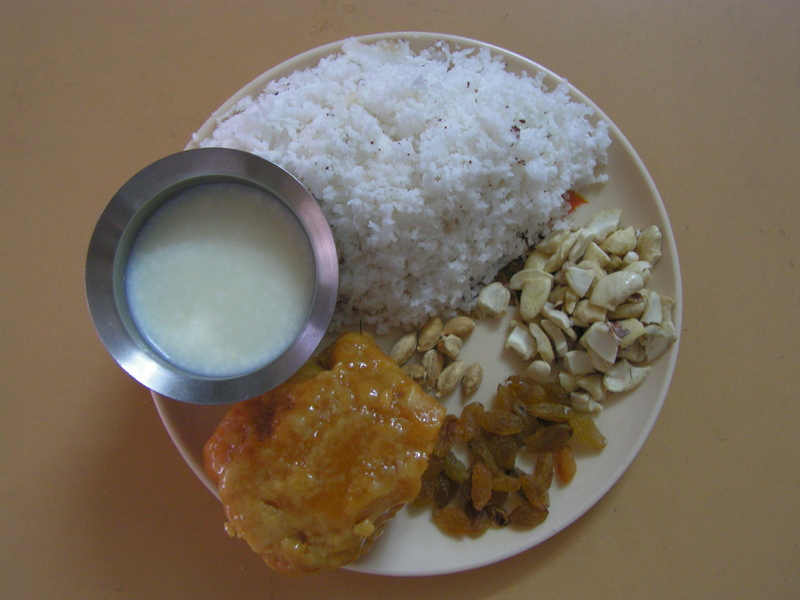 This entry was posted in Uncategorized and tagged Lunch box, Mulangi dishes, Side dish for Roti. Avrekalu/Surthi beans/Hyacinth beans’s season is now at the peak and will come to an end in a couple of weeks. 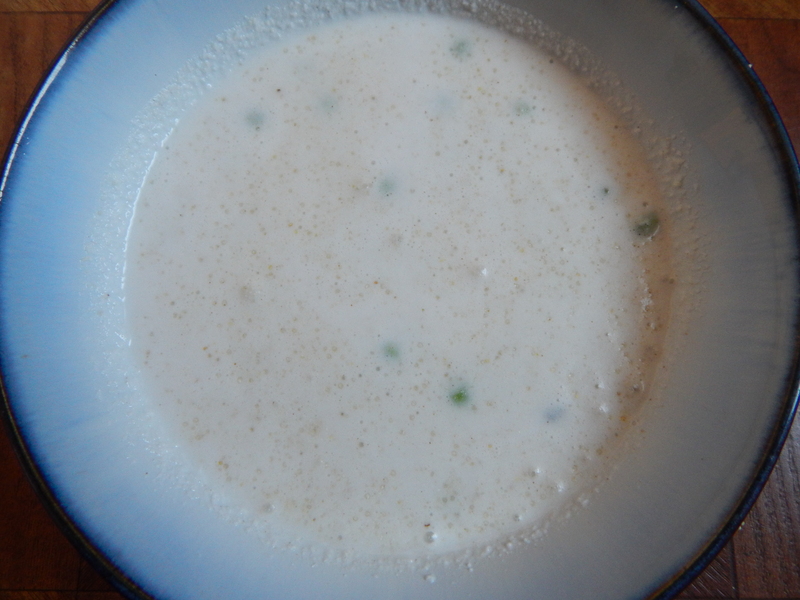 I have just pealed and stored it in my refrigerator to prepare a few dishes for a change. 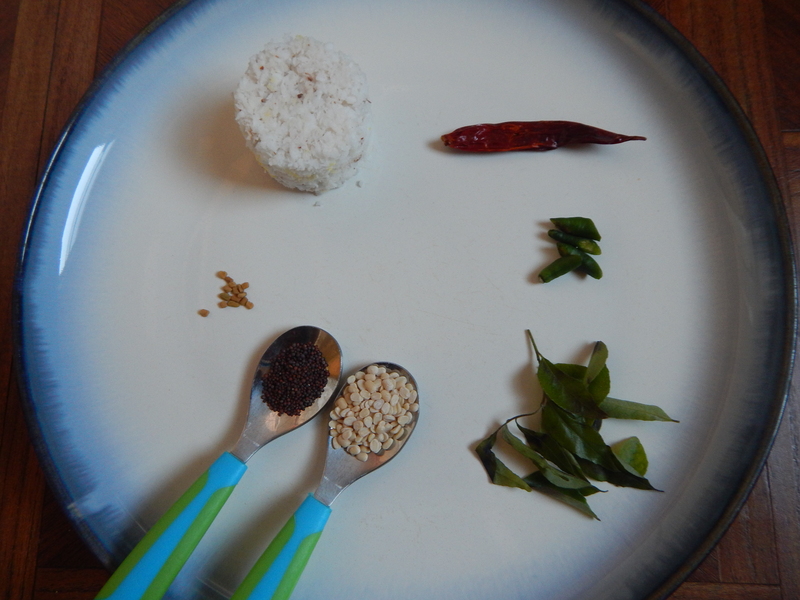 I have already put up Avrekalu kurma, chithranna, mixture, Hithkubele, roti and today i would like to put up Avrekalu masala idli . It really tasted yum with chutney. One can even relish with sambar too!! !Here is my version of the dish. 1. 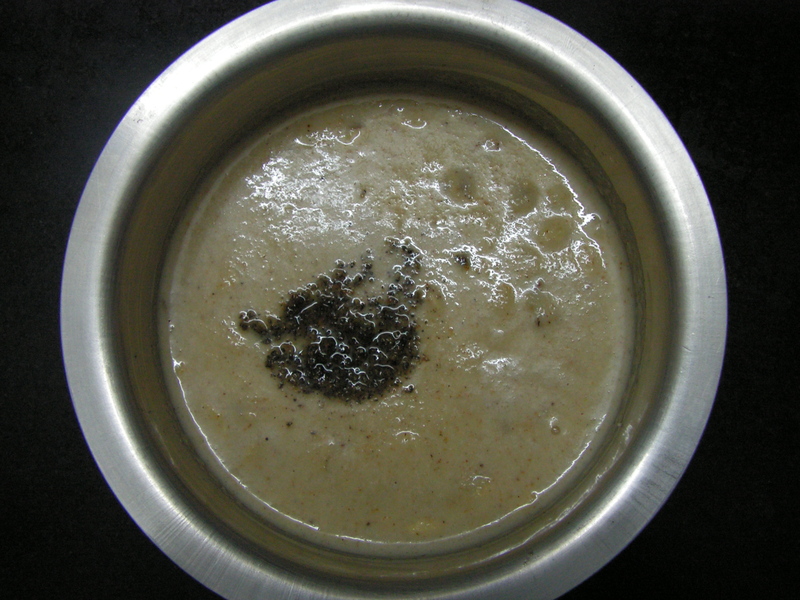 Soak blackgram dal in water for about 4 hours. 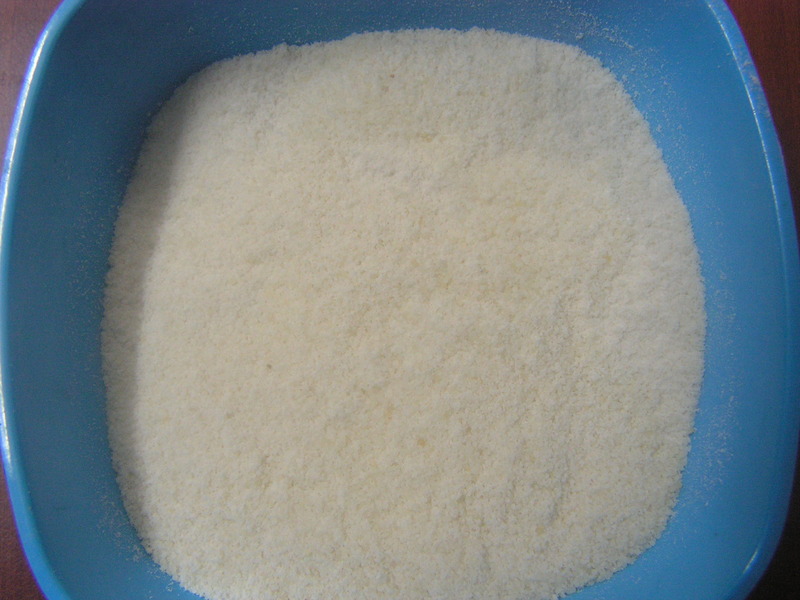 Drain water and grind in the mixer/grinder adding water in steps to a fine but thick consistency. 2. 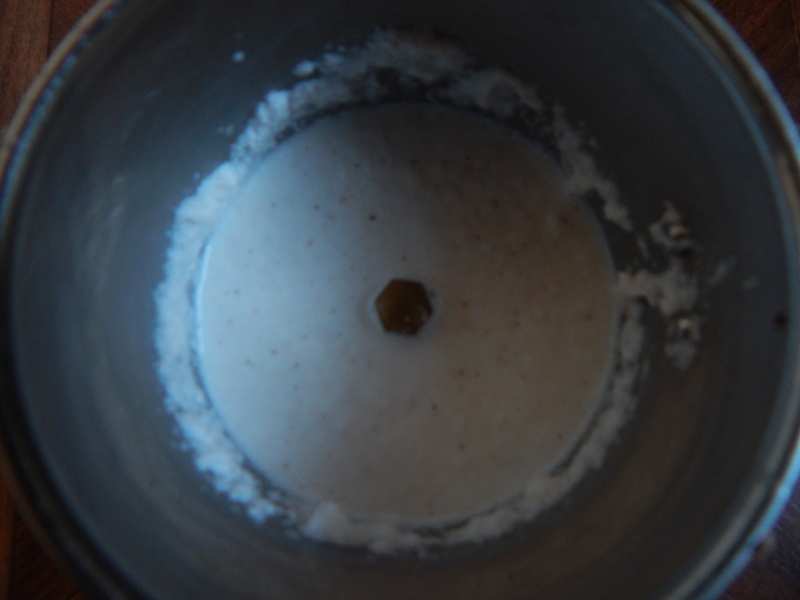 Add rice sujee and salt, mix well and allow it to ferment over night. 3. 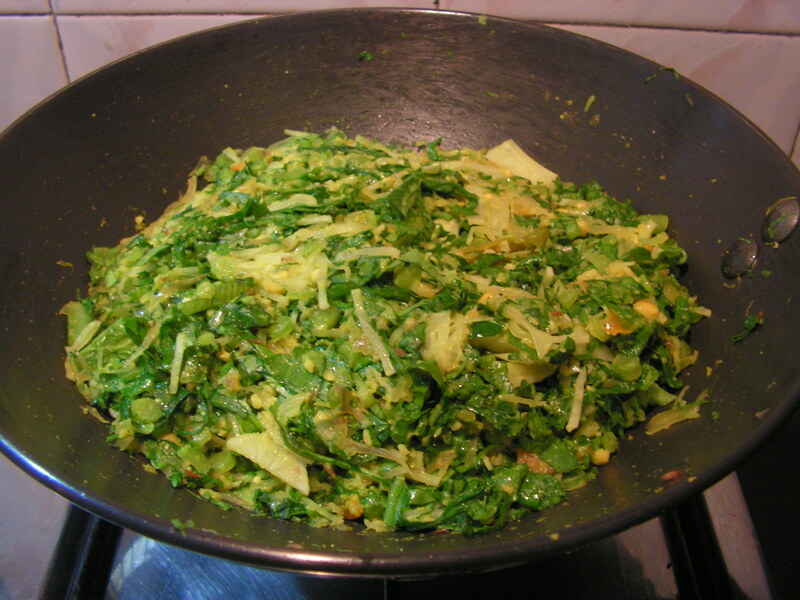 Double peal avrekalu and cook it in the cooker with a pinch of salt and allow it to cool down. 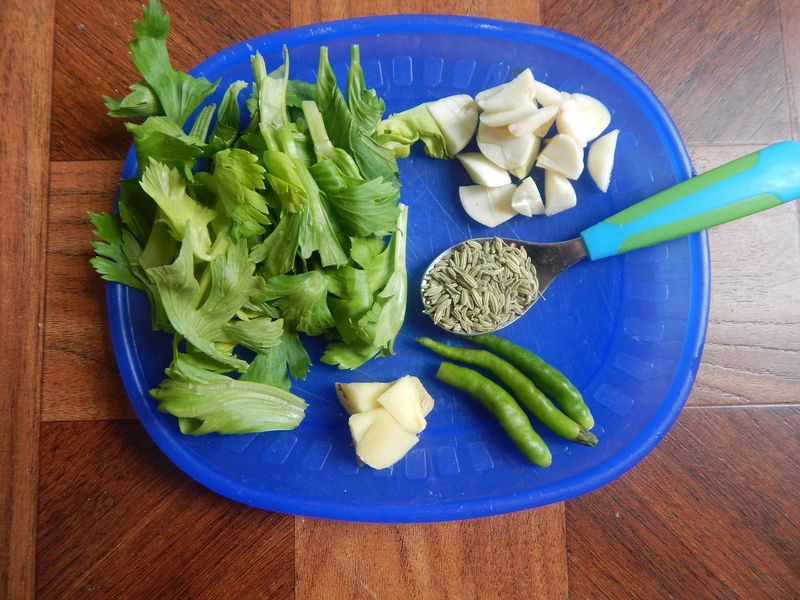 Chop cilantro, ginger, green chili and also chop a few pieces of fresh coconut and keep it aside as shown in the above image. 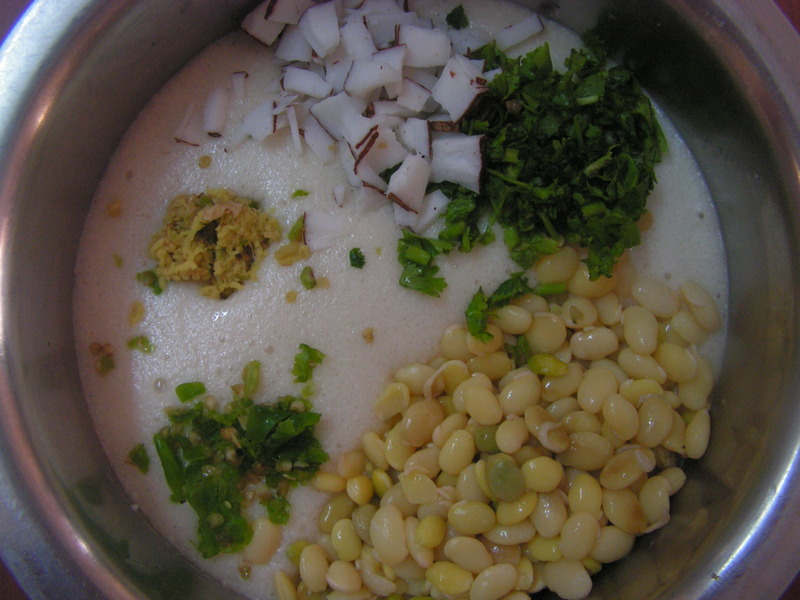 Mix all these ingredients to the fermented idli batter. 4. 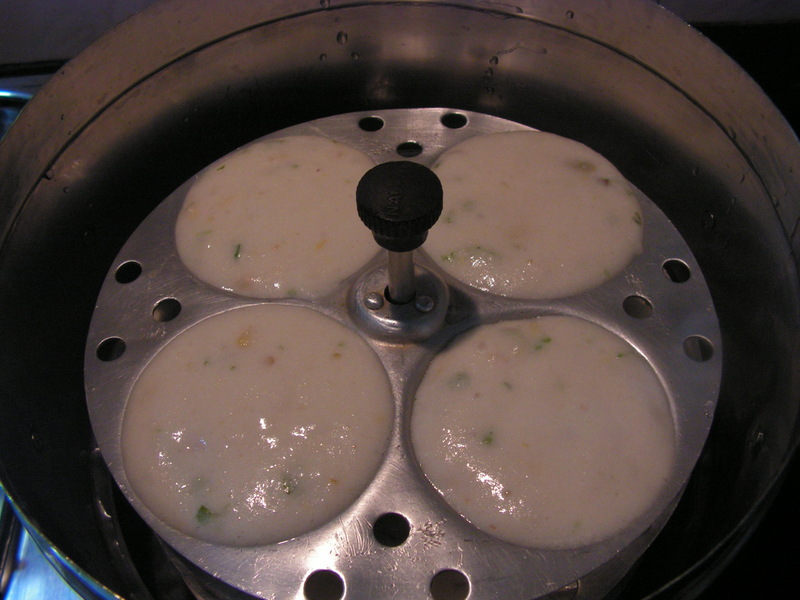 Place a wide idli steamer with 2-3 cups of water and allow it to boil. 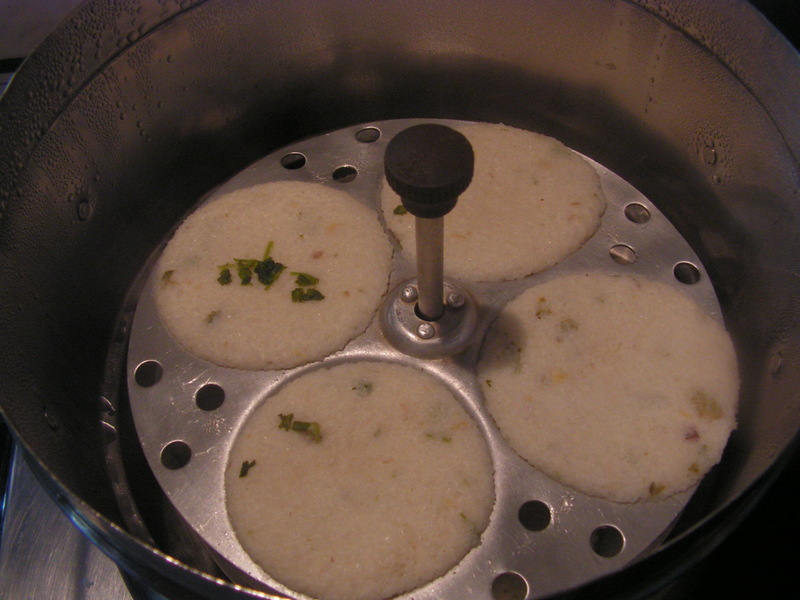 Greece the idli mould and pour the batter in each mould and place the idli stand in the steamer. 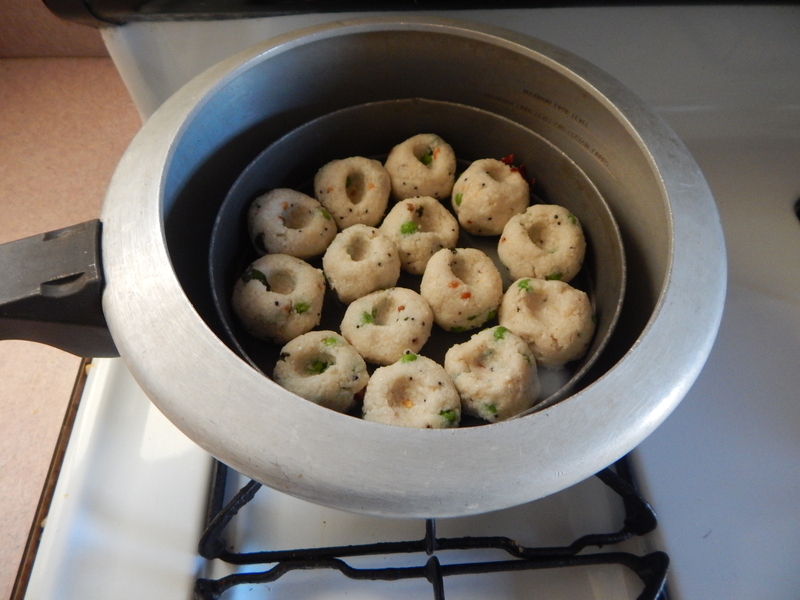 Steam idlis for about 10-12 minutes till done. When a knife is inserted it comes out clean. 5. Enjoy with any wet chutney/sambar/chutney powder of your choice. Yummmmmmmmm!!! Note: 1. 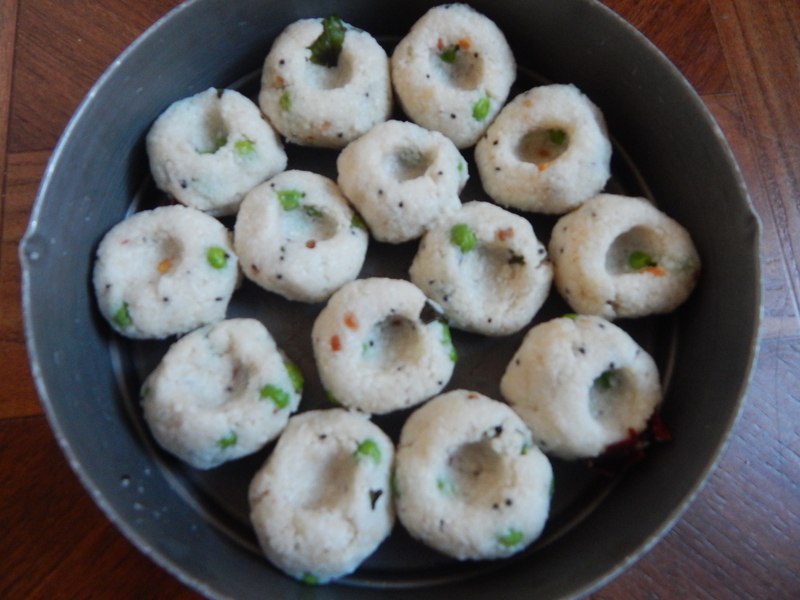 Use quality blackgram dal for soft idlis. 2. 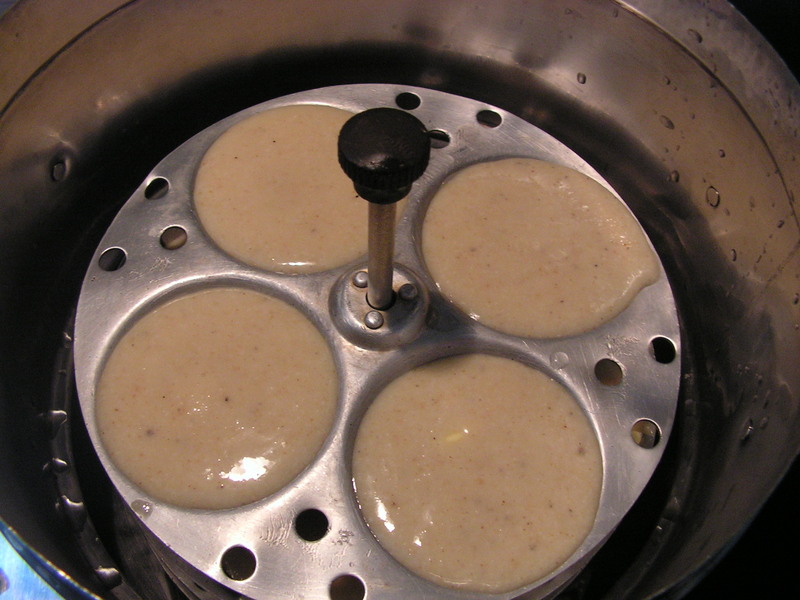 Grind the idli batter thick for best results. 3. 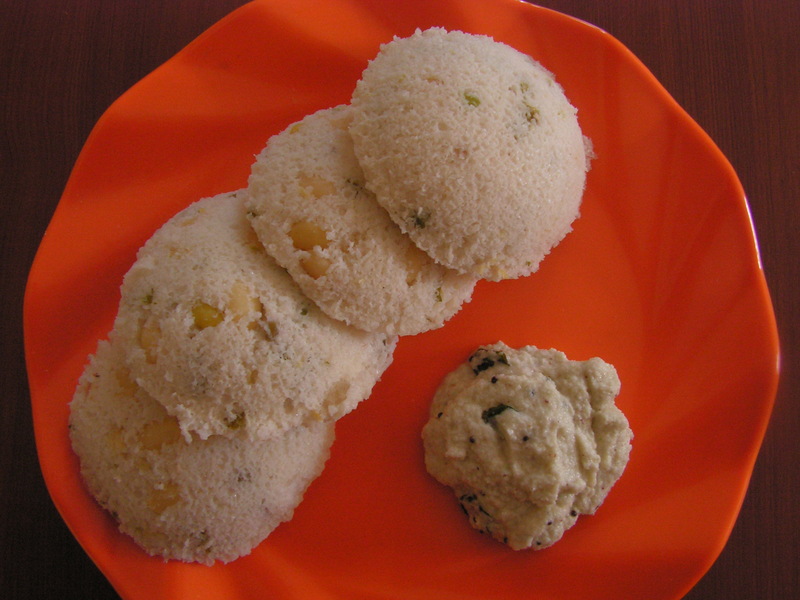 I always make idli rava at home with sona masuree rice. 4. Double pealing you can refer to the “Hithakubele” recipe on this blog. 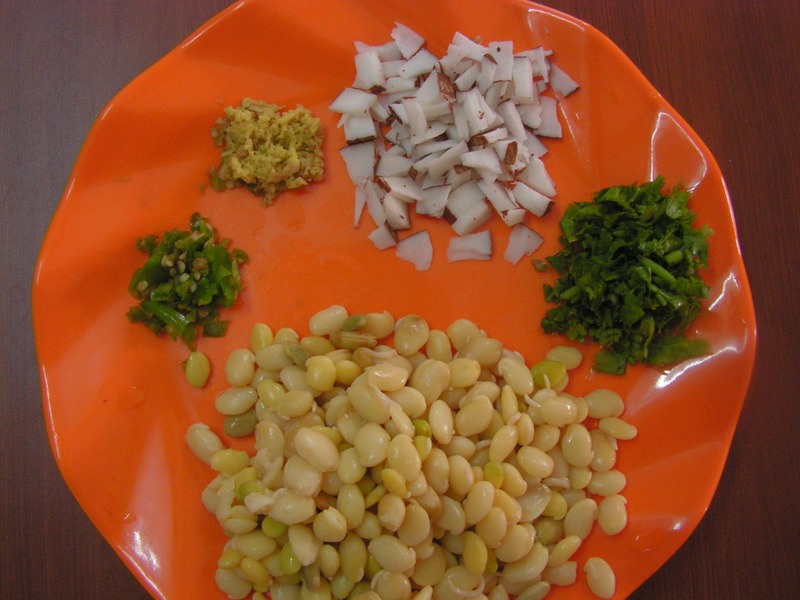 This entry was posted in Uncategorized and tagged Avrekalu/surthi beans/hyacinth beans dishes, Idi point, Kannadiga recipe, Lunch box, Tiffin. 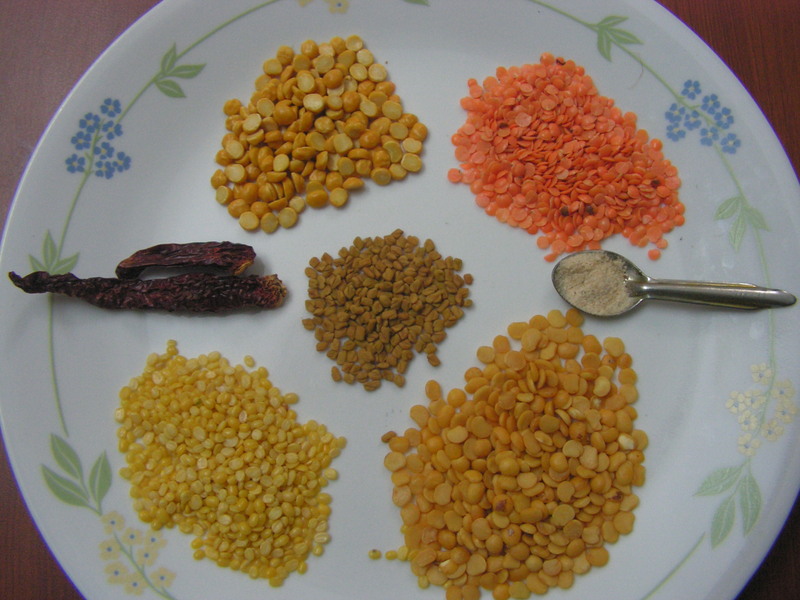 Moong bean is the most popular lentil among the vegetarians. 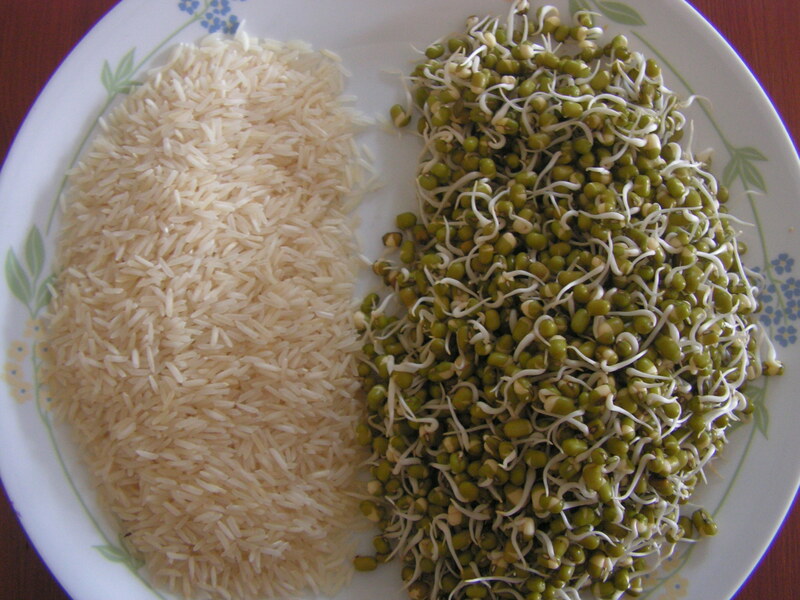 We prepare sprouted moong usli, moong ghashi(Moong in coconut gravy) moong saru, sprouted green gram salad etc. 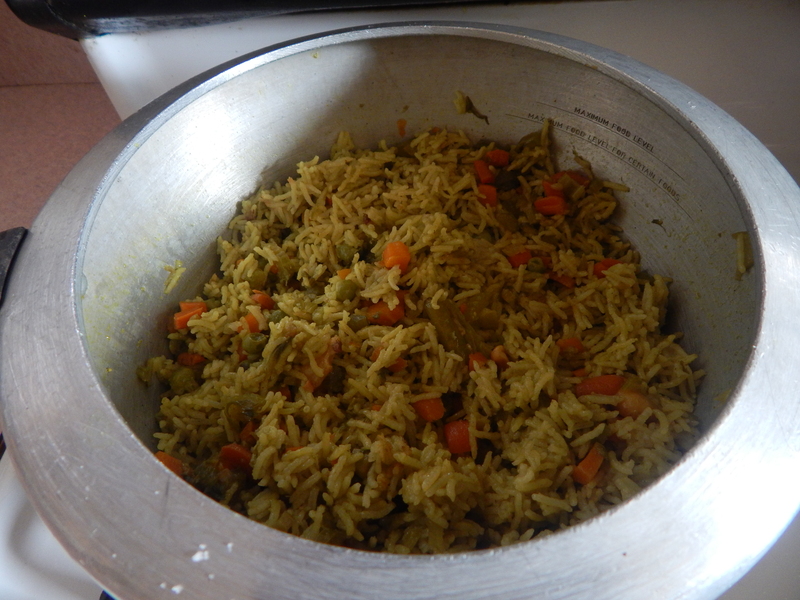 Today i would like to put up Sprouted moong pulav incorporated with a couple of veggies and the usual masala. 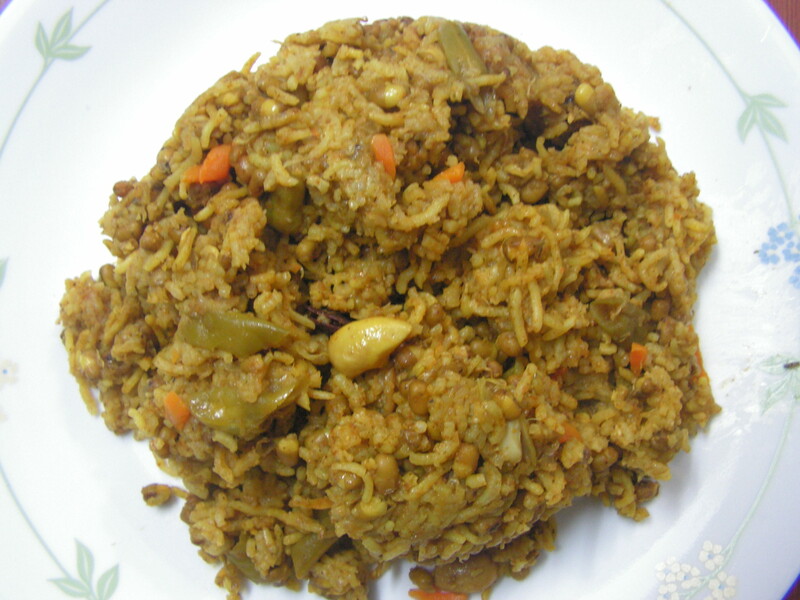 This is a very nutritious , mild and easy to make dish . Only thing is one has to plan a day in advance as the bean has to be sprouted. Serve on its own or with a spicy side dish of your choice. 1. 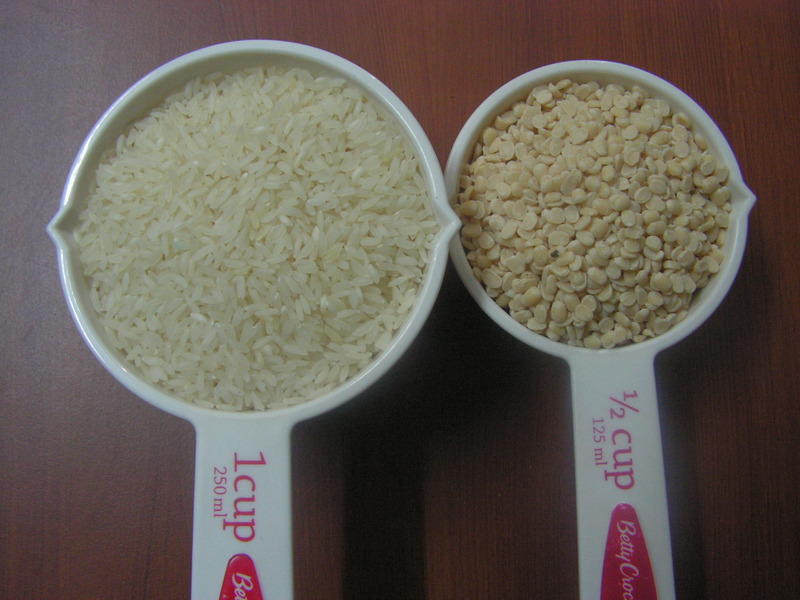 Wash and drain water from basumati rice and keep it aside to dry up. 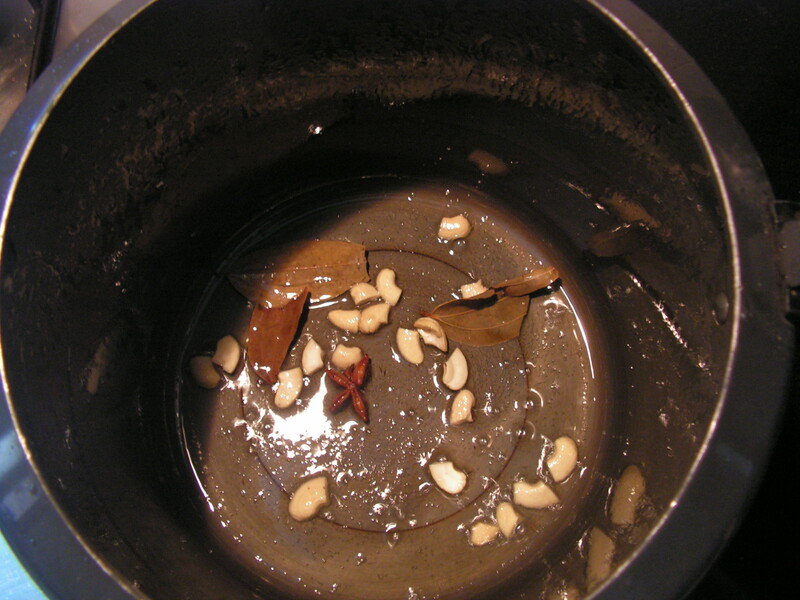 Soak Moong bean iin water for about 5-6 hours. Drain water and tie it in muslin cloth and keep it aside for about 8-10 hours. If you open the cloth the bean will have sprouted. It is as shown in the image-1. 2. 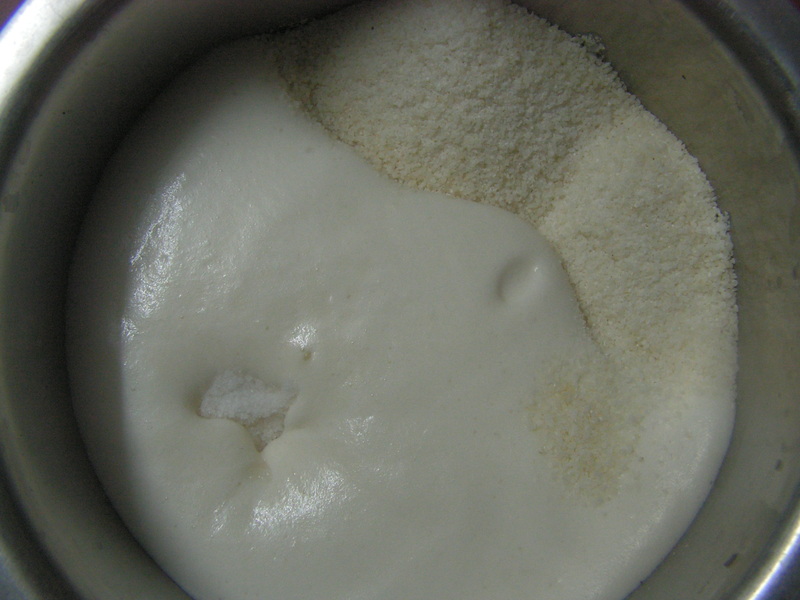 Grind all the ingredients of wet masla in the mixer to a fine consistency without addding water. 3. 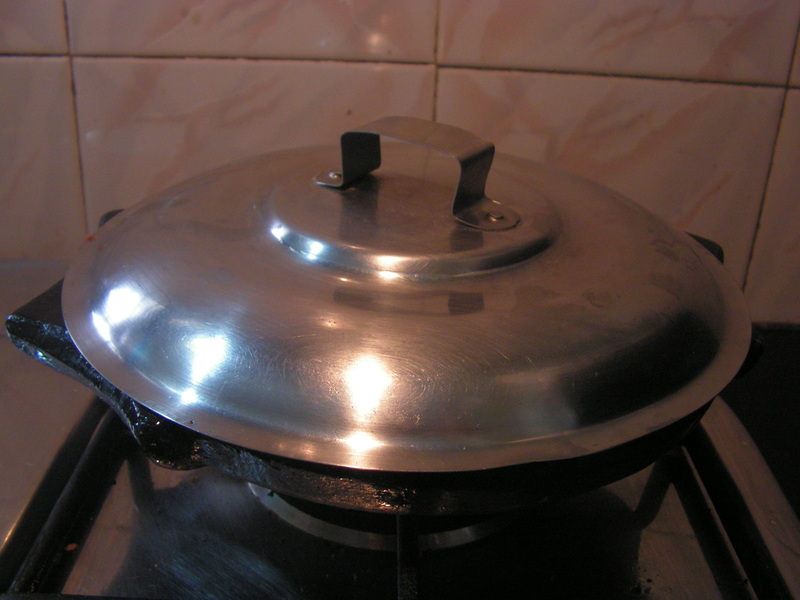 Place a cooker with 2 -3 teaspoons of cooking oil in it on medium flame. 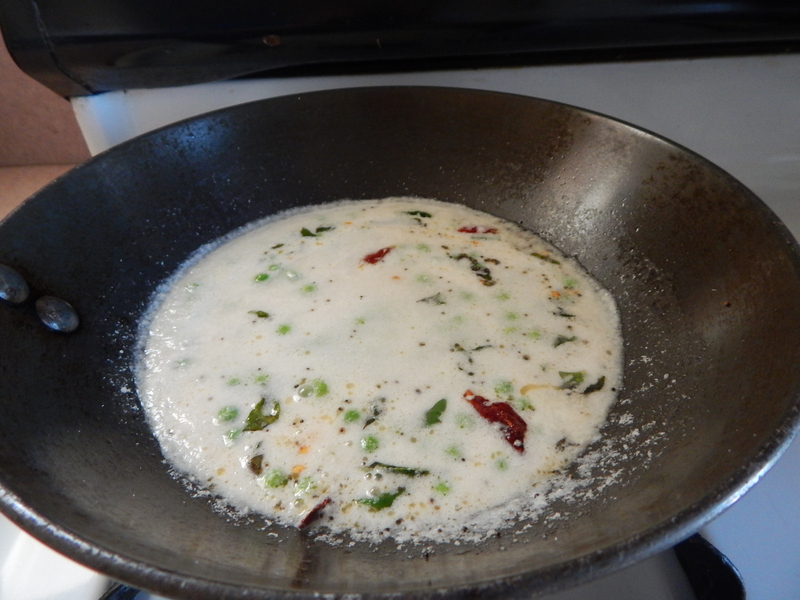 Add masala patha when heated. 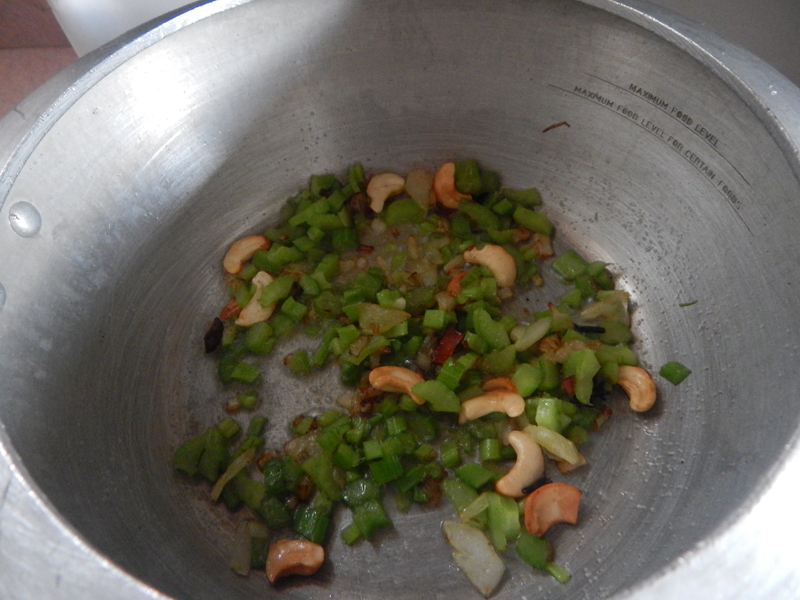 When fried add cashews, star anise masala to it and fry till done. 4. 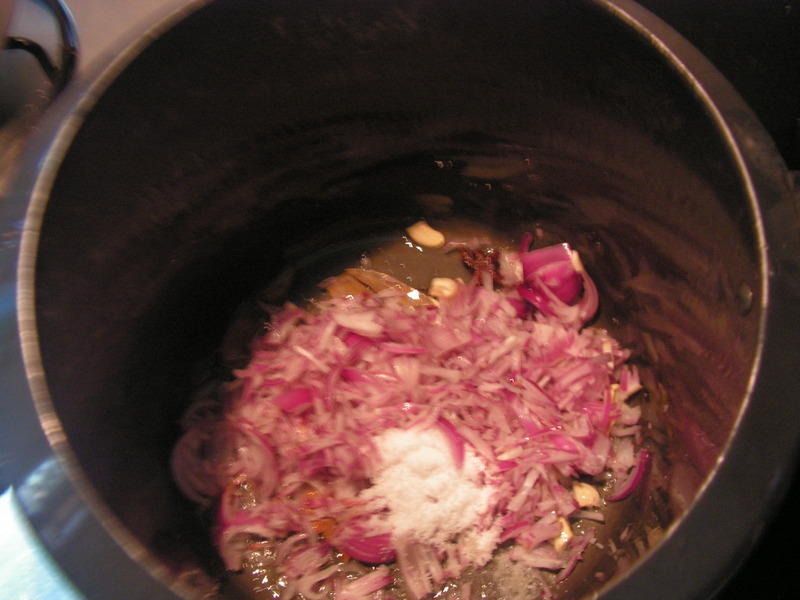 When done add chopped onions and required quantity of salt to it and fry till translucent. 5. 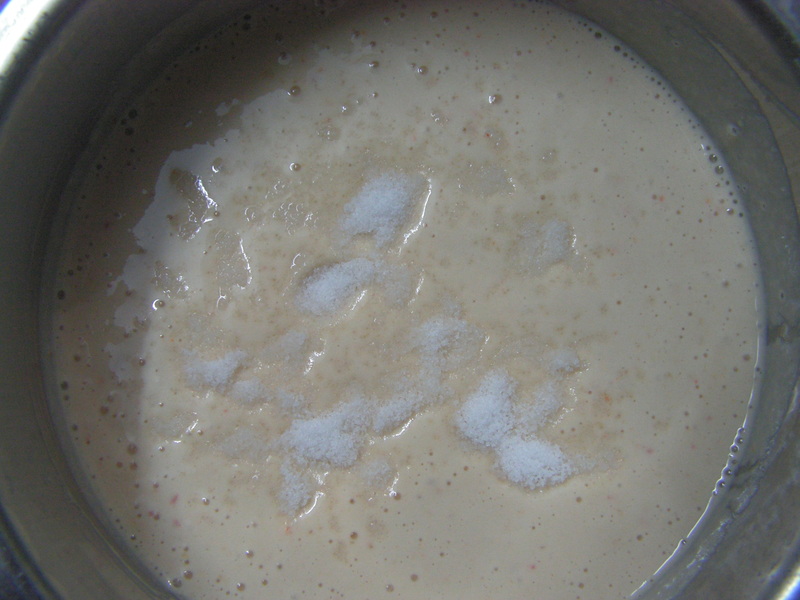 Now when done add all the powders in a row and give a stir. 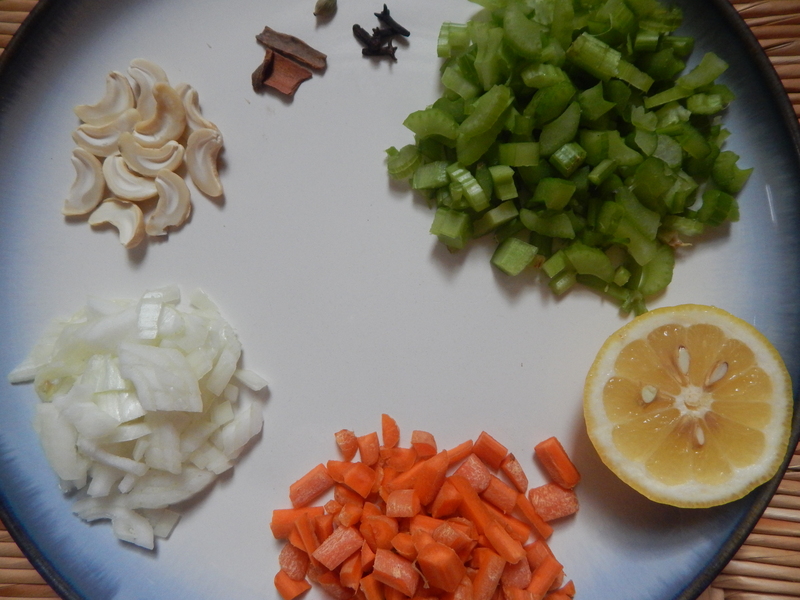 When done add the chopped veggies, to it and stir it with a spatula. 6. 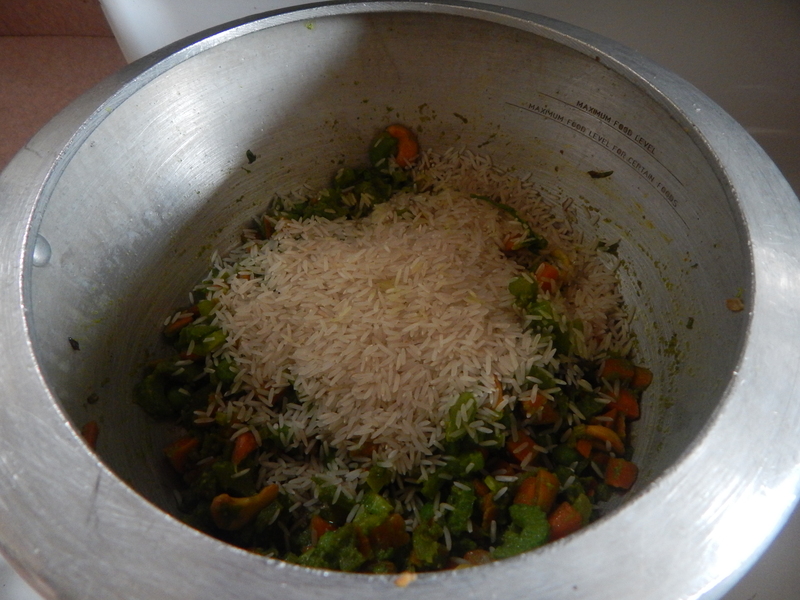 Add rice and sprouted moong bean to it and stir it for a minute. 7. 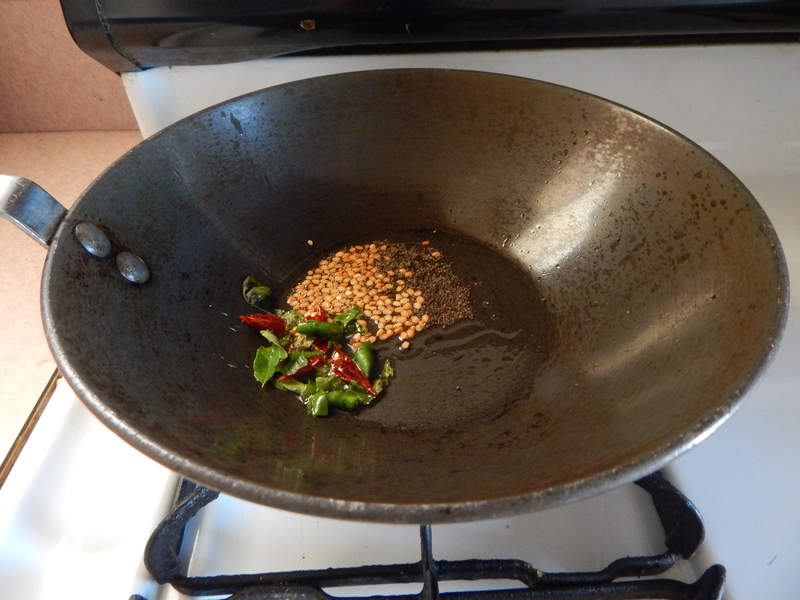 Add the grind wet masala and stir for a minute. Now add required quantity of water and check for salt and if required add salt too!!! Close the lid and cook for about 20 minutes. Transfer it to a serving plate and enjoy either plain or with any side dish of your choice. 8. 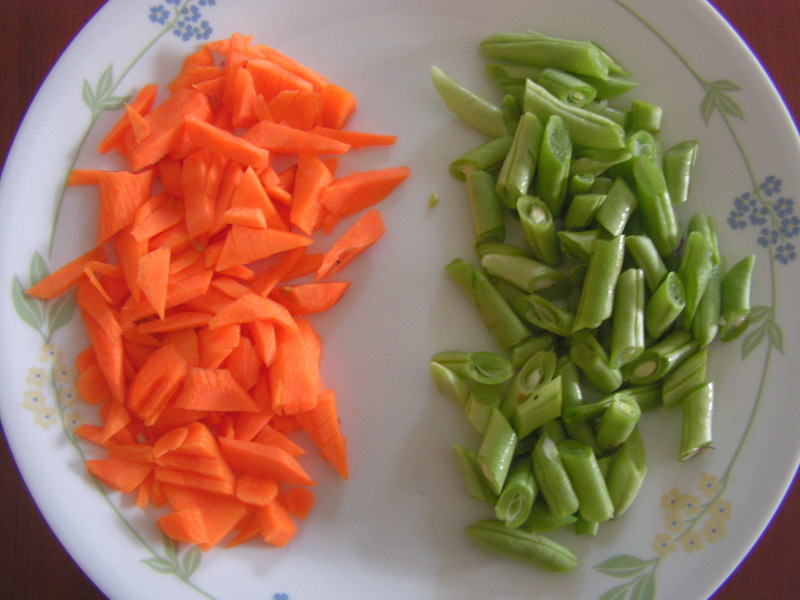 Enjoy either plain or with a side dish of your choice. Note: 1. 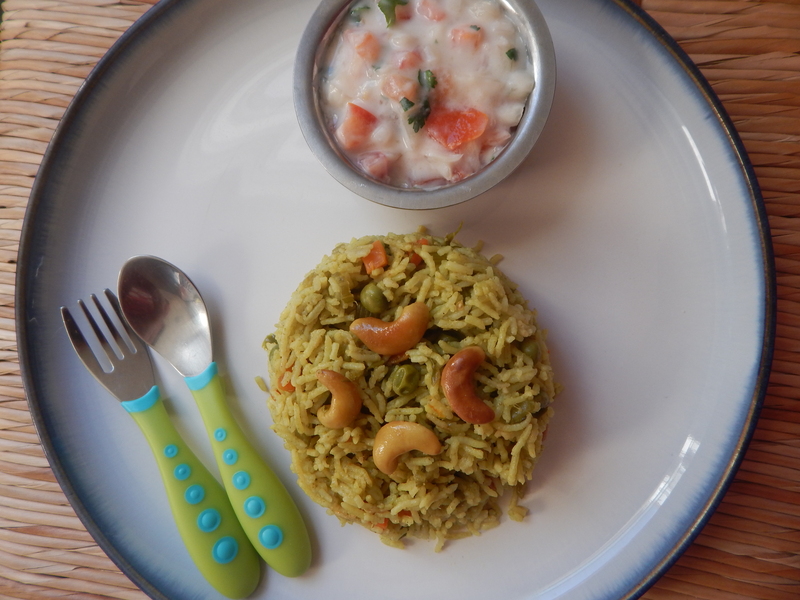 Use basumati rice and quality moong beans for the dish. 2. Vegetables can be of your own choice. 3. 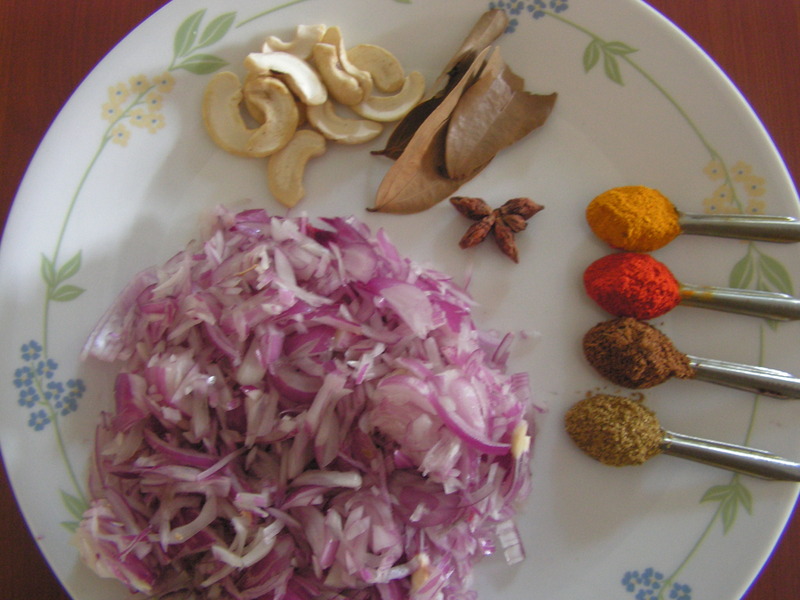 One can even avoid grinding the wet masala and use it in the seasoning itself. 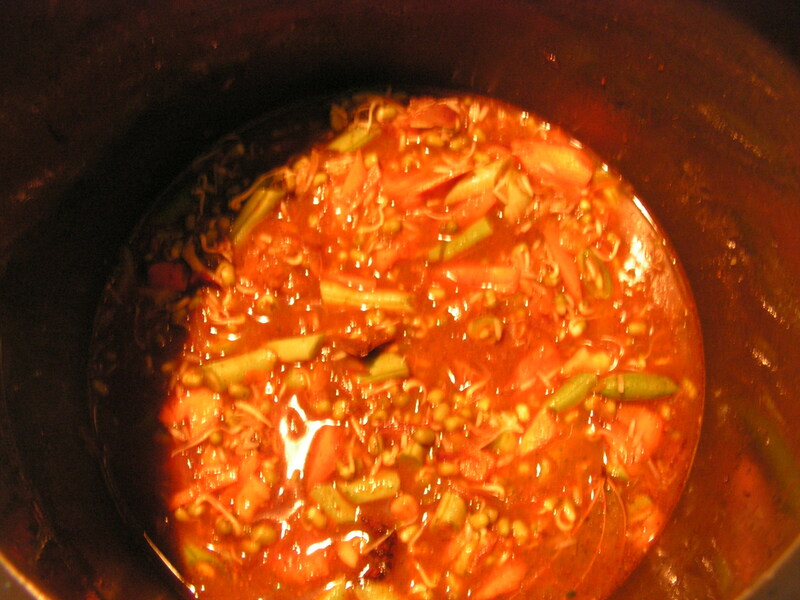 This entry was posted in Uncategorized and tagged Lunch box, Oe pot meals, Party dish, rice dishes.